A native of Washington, D.C., Malcolm enlisted in the United States Navy after high school. While serving, he attended The George Washington University where he earned a Bachelor of Science degree in Mechanical Engineering. Upon graduation, he was commissioned as an Ensign in the U.S. Navy and served on the Guided Missile Destroyer USS Arleigh Burke (DDG-51). After transferring to shore duty, he enrolled in Troy State University, where he earned a Masters in Business Management. 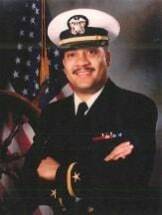 Malcolm received an Honorable Discharge from the Navy in 2000 and started at University of Georgia School of Law that same year. After graduating from UGA, Malcolm worked a number of years as a defense attorney for the Western Judicial Circuit Public Defender. In 2008, he left government employ to open his own firm as a solo practitioner specializing in criminal defense and personal injury. He has successfully defended individuals charged with Drug Possession, Aggravated Assault and other felonies as well as people charged with misdemeanors such as DUI, Domestic Violence and Disorderly Conduct. In civil cases, he has represented clients in a variety of matters including contract disputes, premises liability cases, slip-n-falls, and motor vehicle accidents/wrecks. Malcolm and Markus have been professional colleagues since 2005. In 2012 they formed Palmore, Boenig and Associates P.C.